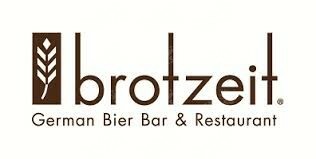 Enjoy Brotzeit German Bier Bar and Restaurant for 1 free 0.3L draft beer / soft drink per customer at half-time! 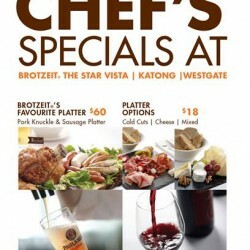 (brotzeit branches at : [email protected], Katong, Raffles City, The Star Vista, VivoCity, Westgate). A menu of chef’s specials to invite you to come and try their new items and explore the taste of Germany! Available at Brotzeit The Star Vista, Katong and Westgate.